Availability is right now (as in “when Reichelt delivers the missing Trimmers tomorrow”) and i wanted you, my fellow Shruthizens™ to be able to be the first in line - if anyone wants one. I have one built and calibrated Module to let go…. Jajaja, one more thing before X-mas… My wallet, ouch! They don’t call it Eurocrack for nothing. No, it only has one Knob to tweak. Can they all synch to each other Frank? The answer to syncing is: No. For syncing and other nice feature wait for the RED Lfo (whatever its name then will be…). was this what you expected? Congratulations on the release Frank. Hopefully I can buy one in the future. Nice. Next you should make a digital sample and hold as an easy addition to this LFO. I agree that the oblong screw holes are always a smart decision. 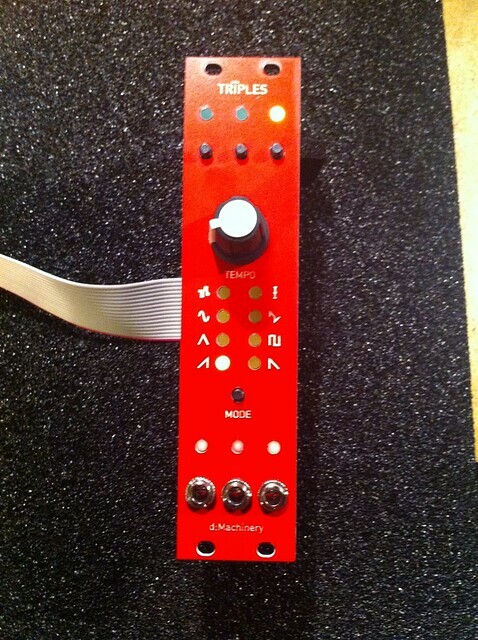 It has an integrated Sample/Hold on each LFO…. On each LFO? Cool. I didn’t see that in the manual. You should mention that. Its described with the Mode button, the Wavefor is called “Sample And Hold”. Thanks for the info Frank! I know that there is a stand alone sample and hold, but can you also decide when a sample is read and held for the other wave shapes? As in, is there S&H on every LFO “shape”. Sounds great for lo-fi, steppy filter modulation. I use a quantize and lag in the operators on the Shruthi to get similar results. I still think this looks like a great piece of kit either way.